Create a real world community of young farmers through social gatherings, such as Farmer Mixers, food gatherings, and Crop Mobs. These relationships will be augmented through online communication, through our website and e-mail Listserv to keep out members up to date on all the young farmer happenings in Texas. Encourage farm education through the promotion of skill-building workshops around Texas. We partner with other organizations and farms to increase awareness for their workshops and classes through our relationships with young farmers, as well as on-the-ground promotion through media contacts and flyering. Build connections between farmers and workers through Crop Mobs, where in our members attend monthly or bi-monthly work parties on farms throughout Texas. By providing farmers with a large group of skilled volunteers, we will provide them with sorely needed labor, while building connections between the volunteers, and gaining valuable real-farm experience. Encourage advocacy through local, state, and federal policy by mobilizing our members to express their viewpoints to their local politicians. This can be as simple as writing a letter to your congressman or attending a community meeting. 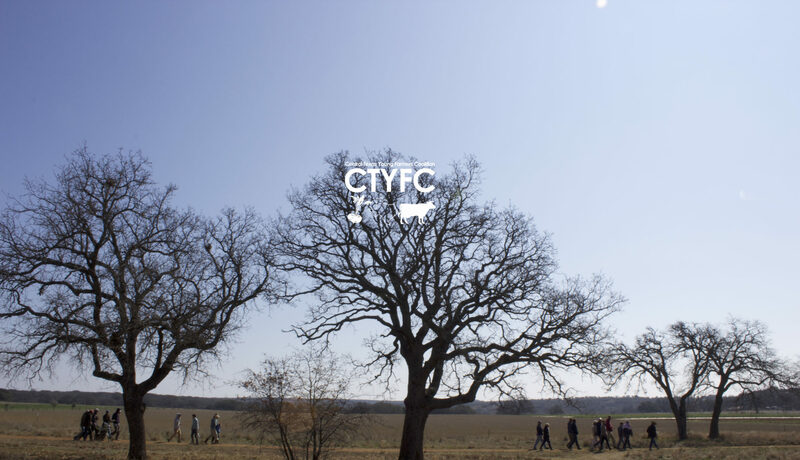 CTYFC strives to provide its members with up-to-date information on current Texas food policy happenings and provide resources for its members to voice their opinions. CTYFC understands the need for more workers entering the farming profession. Increasing the number of young farmers in Texas will be instrumental in increasing food security and awareness, curbing carbon emissions, and building a stronger relationship between local food and local economies. By banding together and supporting one another, we can help create a positive environment for young farmers to network, exchange ideas, and become better farmers.